Man, did we have fun this past weekend! Let us tell you why. 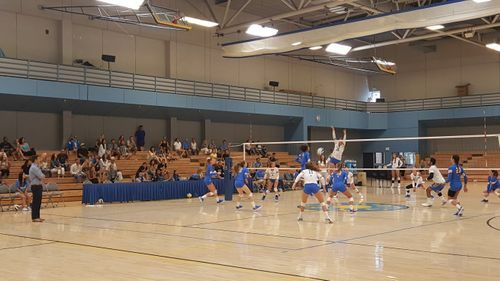 Our team provided sound reinforcement for the UCLA women's volleyball team scrimmage using Soundcraft Si2 Expression, Shure ULXD4D Wireless Kits, JBL VRX932 Cabinets, Crown Amps (xti4000's) and a Rapco LTI Laptop Interface! This was their opening scrimmage and took place at Collins Court in the Wooden Center at UCLA. Their team is ranked 8th in the nation and TSV is excited to work with them and watch them play throughout the season. Good luck, ladies! 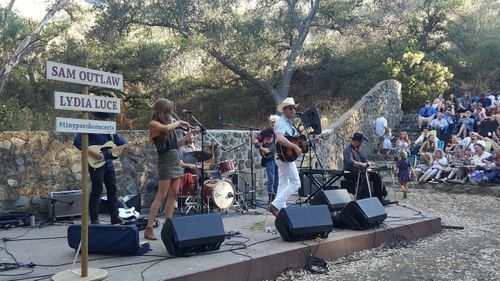 TSV also made our way out to the Tiny Porch concert on Sunday night in the outdoor amphitheatre at Peter Strauss Ranch in Agoura Hills, CA! Tiny Porch is a nonprofit and is in partnership with the National Park System. This is our team's 2nd year doing the concert series and we always enjoy hearing the sounds of bluegrass, country and rockabilly artists. TSV provided front of house sound and a 6 mix monitor system for the show. We used VRX line arrays on sticks, EV monitors, a Crown Amp rack and a Soundcraft Si2 Expression console with a 16x8 Ethersnake Stagebox. This event grows larger each show and with nearly 700 people in attendance this weekend, we hope you don't miss your chance to attend the final show of the year on Sept. 9. Come out and hear some great music from the The Way Down Wanderers and Which Country!